Dreamcatcher’s intro songs on their albums are always crazy good and I love this one so much. The shifts from one genre to the next and the blending of it all is so seamless and magical. Definitely love how they always bring their best, even for something that’s less than a-minute-and-a-half. Easily one of the greatest songs of the entire year, and easily one of my all-time favorite Dreamcatcher titles to date. If you want to check out my full thoughts on this track, be sure to head over to my music video review here. The general progression of this song is just so pleasing and the way that it flows gives you a tingly feeling. The synth melodies and guitar during the pre-chorus even reminded me of fighting some bosses in an RPG somehow, and it just felt so cool throughout the entire track. Even when the song takes it slower turns, which are certainly welcome to keep you from overloading, it feels coherent and like it’s all building to something. And that buildup definitely gets a payoff. The bridge of the song does lose me just a bit with the sound effect of a movie reel going on, but honestly that’s just a minor gripe. I also love that the song just abruptly ends on a powerful final chorus. All in all, this song is great, and I wouldn’t be surprised if this had competed to be the title track. 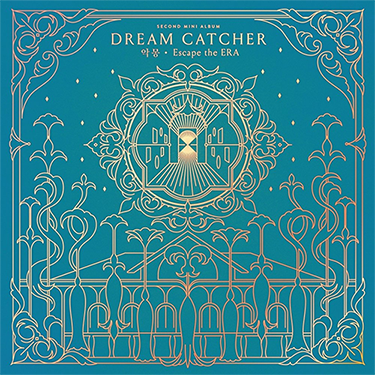 This is a cute track and definitely a break of pace from the much louder rock-themed songs both on the album and in general when it comes to Dreamcatcher. It pulls more from what “Sleepwalking” introduced, though in a much less aggressively energetic manner. It’s got a semi-relaxing vibe overall, though it still retains some dance-centric portions as well. This is an extremely long song, which sadly ends up being a detriment as it feels like this song doesn’t really progress towards anything for most of its duration. Instead, it feels just a bit too same-y throughout. The instrumental backing is dreamy and at times even playful, but it ultimately just feels dragged out for a little too long. Okay I can’t not mention that the intro to this song sounds a lot like the opening to Outsider’s “Loner”. That aside, this track features a unique and intriguing mix of fantasy-esque violin patterns and heavier tones of electric guitars. The vocals are, as ever, impressive and energetic when called for, and laid back when necessary. The rap section of this song didn’t really do much for me, sadly, though at least it didn’t interrupt the general flow of everything. Having Gahyeon perform the hard-hitting rap breakdowns was an interesting and refreshing choice, and it gave those sections a nice color. Speaking of those breakdowns, I really love the choice to have them. It was almost like a callback to “Fly High,” albeit a lot bolder as well as giving a more sinister vibe. In total I like the song, but a few choices keep it from shining too brightly for me. Namely the semi-awkward pacing and semi-clashing of styles. As is the case with all instrumental tracks, I’m not going to be reviewing or rating this. Dreamcatcher have delivered another solid set of pop-rock fusion with this album, and it’s such a great time to be a Dreamcatcher fan. There’s a solid amount of push and pull in this album, and that exploration of where the group might head down is exciting. I don’t know that any b-side will ever topple the greatness that is “Sleepwalking,” but I’ve no doubts that someone out there would disagree that this album didn’t do exactly that. If you haven’t already, give this album a listen. It’s solidly worth the time.